Frank Oliver Howard (born August 8, 1936), nicknamed "Hondo", "The Washington Monument" and "The Capital Punisher", is a former All-Star outfielder, coach and manager in Major League Baseball who played most of his career for the Los Angeles Dodgers and Washington Senators/Texas Rangers franchises. One of the most physically intimidating players in the sport, the 6 ft 7 in (2.01 m)/235 lb. Howard was named the National League's Rookie of the Year in 1960, and went on to twice lead the American League in home runs and total bases and in slugging average, runs batted in and walks once each. His 382 career home runs were the eighth most by a right-handed hitter when he retired; his 237 home runs and 1969 totals of 48 HRs and 340 total bases in a Washington uniform are a record for any of that city's several franchises. Howard's Washington/Texas franchise records of 1,172 games, 4,120 at bats, 246 HRs, 1,141 hits, 701 RBI, 544 runs, 155 doubles, 2,074 total bases and a .503 slugging average have since been broken. Howard with the Dodgers in 1962. An All-American in both basketball and baseball at Ohio State, Howard was drafted by the Philadelphia Warriors of the NBA. 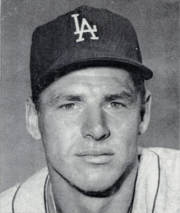 Listed in college at 6'8" and 275 pounds, he instead signed with the Dodgers organization, and after a handful of appearances in 1958 and 1959 he succeeded Carl Furillo as Los Angeles' right fielder in 1960; he was named the Minor League Player of the Year in 1959 by The Sporting News after hitting 43 homers in the Pacific Coast League. He was named the NL's Rookie of the Year after batting .268 with 23 home runs and 77 RBI, and was nicknamed "Hondo" by teammates after a John Wayne film. He belted 98 homers in the following four seasons, most prominently in a 1962 campaign in which he batted .296 with 31 home runs and finished among the NL's top five players in RBI (119) and slugging (.560). He won the NL Player of the Month award in July with .381 average, 12 HR, and an incredible 41 RBI. The season ended with the Dodgers and San Francisco Giants tied for first place, necessitating a three-game pennant playoff; Howard had only a single in 11 at-bats and struck out three times against Billy Pierce in the first game, including the final out; but he had a run and an RBI in the second contest, an 8–7 win. The Giants took the pennant in three games, but Howard would later finish ninth in the MVP voting. In 1963 his production dropped off to a .273 average, 28 homers and 64 RBI; but the Dodgers won the pennant, and his upper-deck solo home run off Whitey Ford broke a scoreless tie in the fifth inning of Game 4 of the World Series, helping Los Angeles to a 2–1 win and a sweep of the New York Yankees. He again hit over 20 home runs in 1964, and on June 4 his three-run home run in the seventh inning provided all the scoring in Sandy Koufax's third no-hitter, a 3–0 defeat of the Philadelphia Phillies; Howard had also homered for the final run in Koufax's first no-hitter on June 30 two years earlier, a 5–0 win over the New York Mets. But the team's 1962 move into pitcher-friendly Dodger Stadium hurt power hitters, and speedier outfielders like Willie Davis were seen as more in line with the club's future; Howard's .226 batting average in 1964—combined with regularly high strikeout totals—led to his trade to Washington in a seven-player December deal which brought future All-Star starter Claude Osteen to Los Angeles. In 2005 Howard recalled welcoming the trade despite going from a pennant contender to a weak expansion team, noting, "I was essentially a fourth outfielder in L.A., hitting 25 home runs a year in the biggest baseball park in America and doing it on 400 at-bats." He added, "What could I do if I get 550 at-bats? I had my best years here." Shifted to left field in Washington, he was unquestionably the center of the offense, leading the team in homers and RBI in each of his seven seasons there. But under managers Gil Hodges, Jim Lemon and Ted Williams, the Senators were a woeful bunch, achieving only one winning season in that time. In 1967 he hit 36 homers, third in the AL behind Harmon Killebrew and Carl Yastrzemski, as he entered the peak years of his career. During an amazing one-week stretch in the spring of 1968 (May 12–18), Howard hammered 10 home runs in 20 at bats, with at least one in six consecutive games; his 10 home runs are also the most ever in one week. He would go on to hit 13 homers in 16 games, a mark that still stands, matched only by Albert Belle in 1995. Howard finished the season leading the AL with 44 HR, a .552 slugging average and 330 total bases, and was second to Ken Harrelson with 106 RBI; he made his first of four consecutive All-Star teams, and placed eighth in the MVP balloting, although the Senators finished in tenth (last) place with a 65–96 record. Howard wore #9 from the time he joined the Senators through 1968. When new owner Bob Short signed retired slugger Williams to manage the club, Howard happily surrendered #9 so the Hall of Famer could wear it once again; Howard donned #33 for the start of the 1969 season. Williams played a major role in teaching him to be more patient at the plate, asking the slugger, "Can you tell me how a guy can hit 44 home runs and only get 48 bases on balls?" He encouraged Howard to lay off the first fastball he saw, and work pitchers deeper into the count, advice which resulted in Howard's walk totals nearly doubling. Beginning in 1968, he appeared semi-regularly at first base in order to limit the wear and tear of playing the outfield daily. In 1969 he had career highs with 48 homers (one behind Killebrew's league lead), 111 runs (second in the AL to Reggie Jackson), a .296 batting average and a .574 slugging mark. On Howard's broad shoulders, the Senators had their best year ever, 86–76, but still finished far behind the Baltimore Orioles in the Eastern Division. He again led the AL with 340 total bases, the most ever by a Washington player, and added 111 RBI; his fourth-place finish in the MVP vote was the highest of his career. In 1970 he led the AL both in HR (44) and RBI (126); his 132 walks in that year also topped the league, and remain a franchise record. On September 2, he received three intentional walks from flamethrowing southpaw Sam McDowell—two of them to lead off an inning. He came in fifth in the 1970 MVP race, and received one first-place vote. Howard is one of four players (along with Harmon Killebrew, Cecil Fielder, and Mark McGwire), to clear the left-field roof at Tiger Stadium. He also hit a foul ball out of Yankee Stadium that Yankee outfielder Bobby Murcer later claimed was fair. His most memorable home-run at RFK Stadium was on April 25, 1970 when he hit a 500 ft homer into the upper bleachers in left centerfield. The seat which it hit was painted white against the conforming gold to commemorate the event . In a game at Fenway Park, he hit a line drive that struck the center field wall 390 feet from home plate and bounced into Reggie Smith's glove before Howard had even reached first base. During his National League days, Howard also smashed a ball an estimated 560 feet at Pittsburgh's Forbes Field. Howard hit the last regular-season home run for the Senators in RFK Stadium in his final at bat on September 30, 1971 off Yankees pitcher Mike Kekich. After waving to the cheering fans, Howard tossed his helmet liner into the stands, and after the game said "This is utopia for me." The Senators moved to Dallas/Fort Worth in 1972, becoming the Texas Rangers. Howard batted only .244 with 9 HR's in 95 games before his contract was sold to the Detroit Tigers in August; he had just one home run in 33 games for Detroit, and did not appear in the postseason for the division champions. He ended his major league career in 1973 with a .256 average and 12 home runs for the Tigers, playing as their designated hitter. Unable to find a job in the majors, in 1974 Howard signed to play in Japan's Pacific League for the Taiheiyo Club Lions. In his first at bat for his new team, he swung mightily and hurt his back; he never played again in Japan. In 16 seasons, Howard was a .273 career hitter with a .499 slugging average, 382 home runs and 1,119 RBI in 1,895 games. His lifetime marks included 864 runs, 1,774 hits, 245 doubles, 35 triples, eight stolen bases and a .352 on-base percentage; his 1,460 strikeouts were then the fifth highest total in major league history. Jim Sundberg surpassed his Senators/Rangers franchise totals for career games, at bats and doubles in 1982 and 1983; Toby Harrah broke his marks for runs and hits in 1985 and 1986; and Juan González broke his records for home runs, RBI, total bases, and slugging average in 1997 and 1998. 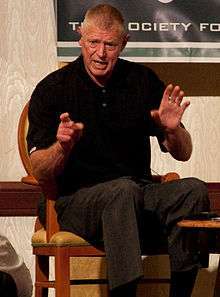 Following his retirement as a player, Howard coached for the Milwaukee Brewers 1977–80 before being named manager of the 1981 San Diego Padres. The team finished in last place in both halves of that strike-marred season, and Howard was let go. Catching on as a coach with the Mets in 1982, he took over as manager for the last 116 games in 1983 after George Bamberger resigned, but again finished in last place. In all, he posted a 93–133 career managerial record. Howard also coached again for the Brewers (1985–86), Mets (1994–96), Seattle Mariners (1987–88), Yankees (1989, 1991–93), and Tampa Bay Devil Rays (1998–99). Since 2000 he has worked for the Yankees as a player development instructor. Back in 1972 Howard had thought that before much time had passed, another President would deliver the opening-day pitch in the capital. On April 14, 2005, baseball returned to Washington. Reflecting on its '71 departure he remarked, "I thought that within five years it would be back. Well, 34 years later, here we are." During pregame ceremonies before the Washington Nationals–Arizona Diamondbacks game at RFK Stadium which featured players from both former Senators clubs, Howard walked out to left field and was greeted by a raucous ovation. At age 68, he joked, "I know I'm going to left field – if I can make it that far without having a coronary! I used to be able to sprint out there but I don't even know if I'll be able to jog. I told (former Senator Ed) Brinkman, 'For crissakes, call 911 if I have a blowout in left field.'" He now helps raise money for St. Jude's Children's Research Hospital.